Roof plans should be a simple bunch. Measure the overhangs, center some ridges, draw 45 degree angles along the hips and Bam! Roof plan. Of course, those of us spending way too much time measuring the real world know that it’s not always so smooth. 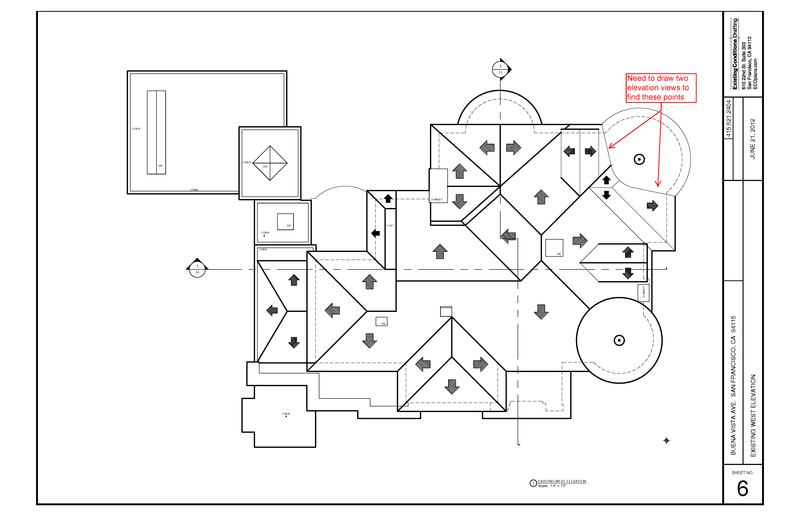 Sometimes we can’t even draw an accurate roof plan with drawing at least two of the corresponding elevation views. Check out the south & west elevations of this beautiful home. In this case we needed to go back and forth between the roof plan and the two elevations in order to make sure the roof plan was accurate. your website is soo good. i wish i could write like you someday. thanks for the good post. thank for sharing.